NWCCA are pleased to be able to offer our riders and pit crews the opportunity to attend a Cyclocross Nationals Workshop. 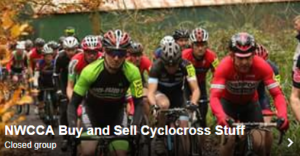 This workshop is currently ONLY open to riders who are eligible to race National Trophy or National Championship races next season and are planning on entering them, or have raced some before but are not experienced. Further workshops may be available at a later date on a regional/club level. The workshop will be run by pit crews/parents/riders who have experienced racing at a National level but realised that it was pretty daunting, and could have been a whole lot easier if they’d had a bit more of an idea what it was all about before they started! It will start with an informal presentation which will include the differences in racing at a National level, what to expect, how to prepare etc and also explain how the pits work. We will then go outside where we will have a double pits set up and put the theory into practice in the pits. This session is as much for the rider as it is for their pit crew (whether that is a parent/partner/friend). If you don’t have a pit crew don’t worry and don’t let it stop you coming. The session is free but there will be a complusary purchase of a breakfast bun and a drink for four pounds per person when you arrive at sign on! Riders please bring two bikes (a borrowed second one is fine if you don’t currently have two), you will be shown where to leave your bikes on arrival. Please everyone bring suitable clothing – if it’s raining we will get wet, but don’t layer up until we go outside. Please leave muddy shoes outside. We hope this will be a fun and informative session for everyone which will give you the confidence to enjoy racing at a National level.